I run the sc2ai.net ladder for sc2 bots. We recently just finished our 7th season for the next season. Up until now we've just been using the standard ladder maps, but this poses a couple of problems this time round, with features that pose some issues for bots, so I though I'd ask here if anyone had any good suggestions for maps that can be used for bots to fight it out. Are there any specific stipulations besides those outlined? A majority of maps produced nowadays fall into the bucket of "2 player symmetrical maps without air blockers or special features". 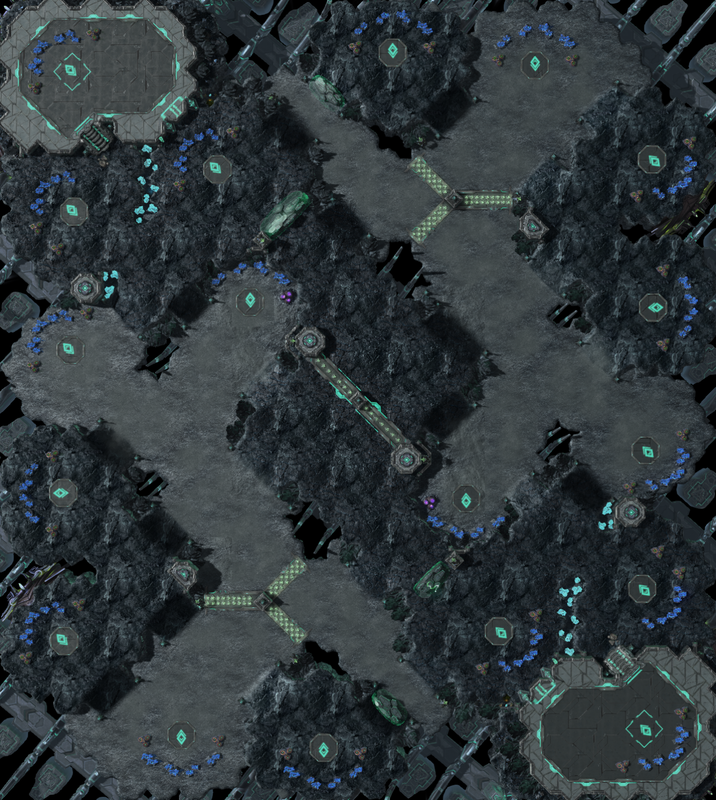 So you could use maps from the most recent map contest: https://www.teamliquid.net/forum/starcraft-2/542149-team-liquid-map-contest-12-finalists (from the Standard and Macro categories ofc. AIs will no doubt have trouble with Inhibitor Zones or especially mineral walls). 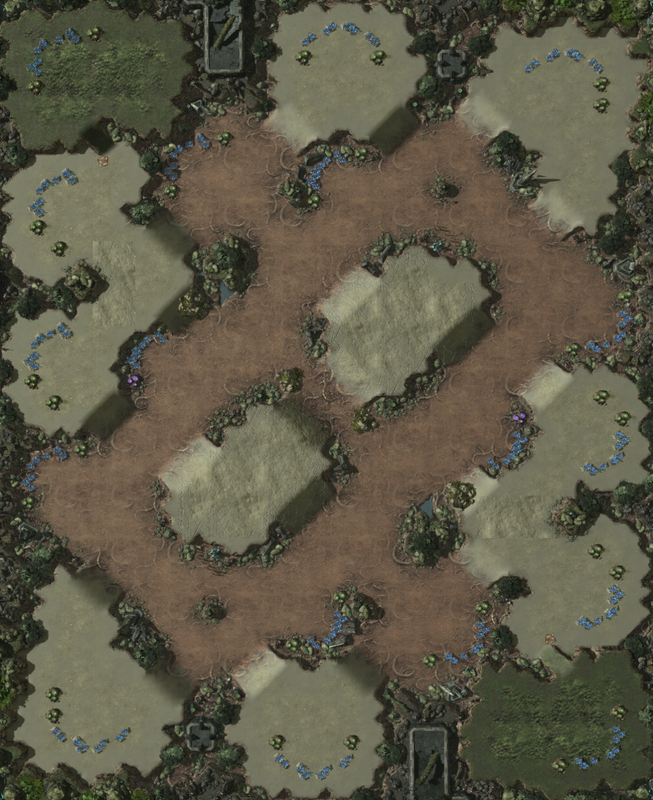 While gold bases and watchtowers aren't particularly popular these days, I'm sure there are a few suitable maps among the submissions: https://www.teamliquid.net/forum/starcraft-2/540629-team-liquid-map-contest-12?page=5#81. There are finalists from previous Teamliquid map contests that didn't get added into the ladder. Those got a QA check. You can find all these maps below by searching [TLMC10] and [TLMC11] on bnet and they can be opened. You will probably find something that fits your needs here. https://www.teamliquid.net/forum/starcraft-2/542149-team-liquid-map-contest-12-finalists Is one of the best sources for maps that can qualify for what you may want. But I can also recommend some of my most recent maps. These 3 maps may be up to what you want, and are some of the best I can recommend regarding myself. TLMC10 and 11 finalist might be a good source as well. TLMC11 5th place finalist, aspiring mapmaker with hopes of great success. Cool, I'll take a look thanks. TLMC 12 all the way! If you want super uncomplicated and right inbetween macro and standard I'd say take a look at Heatwave by themusic246. Want to see if the AI can handle chokes? Ephemeron by negativezero. And of course tlmc 12 winner Acropolis by RQM has a xelnaga tower in a strategically super interesting position. The most uncomplicated map with gold bases is most likely Treachery(TLMC 10 finalist) as previously mentioned. High yield is not much done anymore ordinarily. Technically Acid Plant has them, but it's not very likely to come into play and Automatons setup might confuse the AI. Maybe Quiant by samro225am is also a good option in that category and hasn't had much exposure outside of the map-ximum contest. Overlooked and right up your alley would be Artana and Digital Frontier(can only agree with Superouman on those). If you want to go for oldschool there is always Overgrowth(XNT and gold bases) and Catalyst(Deepmind AI demo).